Ready to rip up some Central Oregon dirt? Put your RC racing skills to the test out at Cooper Raceway RC track in Sunriver. 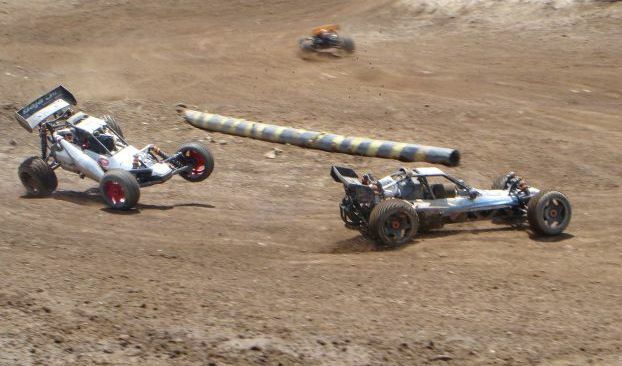 Race your own gas powered or electric RC car or truck on this open rally dirt course. If you do not have your own RC car or truck to race, you can rent one from specialty local RC hobby shops in Bend or Sunriver. Central Oregon Rentals offers the latest model 4wd RC rentals for your next RC adventure. Drivers of all ages and skill levels can compete or just enjoy some friendly RC course practice runs. Air out your RC car or truck on the technical jumps and dig into the corners or berms for the fast track win. This RC track caters to locals and vacationing guests alike as well as supporting a new RC Youth Program. Family fun RC racing in Sunriver!